May 12, 2011  Under the plan, private companies that manage the nation's "critical infrastructure" would be required to submit detailed plans showing how they can defend themselves against cyberattack. The federal government would then have the authority to approve or reject the proposals. Did Harsh Interrogation Tactics Lead To Bin Laden? May 5, 2011  Documents from the Guantanamo detention camp show prisoners there and at secret CIA facilities were interrogated over and over about Osama bin Laden's courier network. 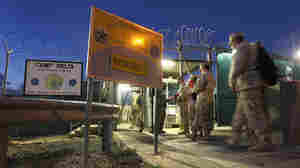 About a third of the CIA detainees were subjected to what the agency euphemistically called enhanced interrogation techniques. May 3, 2011  U.S intelligence officials had long believed that their best hope of finding Osama bin Laden was to identify and track the men who served as his couriers. And they did that, thanks in large part to information obtained by interrogating followers of the al-Qaida leader. Did harsh interrogation tactics play a role in bin Laden's death? May 2, 2011  The world's most wanted man is dead. 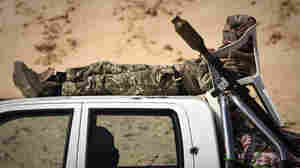 Osama bin Laden was killed early Monday when four helicopters carrying U.S. forces stormed a house in Pakistan. The raid was conducted in the town of Abbottabad. 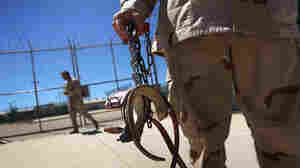 April 28, 2011  A side-by-side comparison of the Pentagon's secret Guantanamo detainee assessment briefs and federal court rulings shows that intelligence analysts and federal judges can reach starkly opposing conclusions from the same raw intelligence. 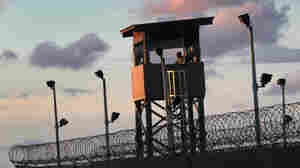 April 24, 2011  Hundreds of secret documents show that military and counterterrorism analysts sometimes found it difficult to determine whether those held in the detention camp at Guantanamo Bay were truly dangerous. April 24, 2011  Thousands of pages of secret military reports obtained by The New York Times and shared with NPR put a name, a history and a face on some of the hundreds of men held at the detention camp. April 11, 2011  Spring meetings of finance ministers on the global economy open in Washington, D.C., on Friday. The sessions will take place with a backdrop of continued disputes over world trade rules, and popular uprisings in the Middle East and North Africa, where economies are stagnating. March 25, 2011  The Libyan leader faces unilateral U.S. sanctions plus sanctions imposed by the U.N. and the European Union.The measures are stricter than anything imposed on any other state. The goal is to choke off his money supply and loosen his hold on power. In Libyan Conflict, Is Endgame A Stalemate? March 24, 2011  Since Operation Odyssey Dawn began last Saturday, more than 160 cruise missiles have been launched, and jet fighters from at least four countries have dropped bombs on targets all across Libya. But is the operation achieving its goals? Not yet. March 18, 2011  The Obama Administration was initially reluctant to support military action against the Gadhafi regime. President Obama said Friday the U.S. backing of intervention in Libya was driven, in his words, "by Gadhafi's refusal to respect the rights of his people and the potential for mass murder of innocent civilians." And Friday, U.S., British, and French governments suggested that they will be satisfied with little less than Gadhafi's removal from power.